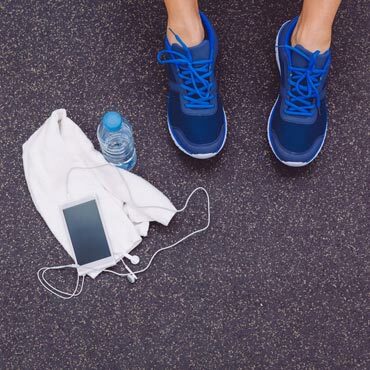 Popular with health centers and gyms, rubber sports flooring absorbs the impact of exercise equipment, high-energy sports, and weights as they hit the weight room floor. Elementary schools and high schools, as well as colleges and universities, also put resilient rubber sports flooring to the test with high-traffic, high-energy, high-impact activity in gyms and sports centers as much as 16 hours a day. The natural “give” of high quality, durable rubber sports flooring benefits the comfort of the staff that might be on their feet for extended periods day after day.